Analysis of over 3,200 consumers in Brand Z’s study of Australia’s most valuable brands reveals that male-skewed brand offerings are forfeiting $5.4 billion every year. Untargeted products, services and marketing result in female undersubscription, particularly in longer-term borrowing and investments. Losses don’t only stem from lower levels of usage by women – men dislike what’s on offer too. 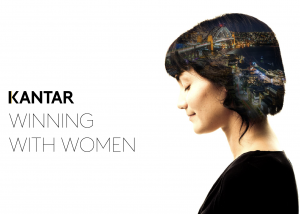 New research conducted by Kantar Australia – Winning With Women – also finds it’s not just females who feel underserved. 26 per cent of women and 18 per cent of men feel that males get more attention from financial service providers when couples share financial decision-making. 31 per cent of both genders believe that financial services as a category caters more for men, with just four per cent believing it leans towards women. Financial services providers are not fulfilling their potential with women and are also not maximising their bottom line,” says Amy ‘Fritz’ Fridlund, Global Content Lead for Kantar’s Insights Division. An advertising creative testing component of the Winning With Women study displayed divergence in how women and men perceive financial services TVCs, demonstrating a need to inclusively speak to women. “Financial services providers can influence positive impact by first helping instil consumer confidence, and that’s where marketing has an integral role to play,” adds Fridlund. “Decision-making among women is more apt to be paralysed by uncertainty, resulting in a non-optimal portfolio of products and overly-conservative investments,” adds Fridlund. Other key findings of the Winning With Women study include that savings, longer-term borrowing, super and investments have much lower levels of engagement. In particular, it found women generally have a lower appetite for risk – 51 per cent of women say that they have/would not consider moving savings into another investment, compared to 45 per cent of men. “But this mindset should not be mistaken for a lack of ability,” adds Fridlund.